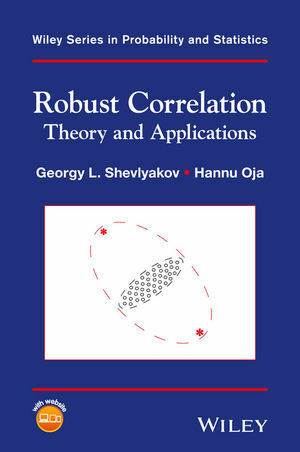 This bookpresents material on both the analysis of the classical concepts of correlation and on the development of their robust versions, as well as discussing the related concepts of correlation matrices, partial correlation, canonical correlation, rank correlations, with the corresponding robust and non-robust estimation procedures. Every chapter contains a set of examples with simulated and real-life data. Makes modern and robust correlation methods readily available and understandable to practitioners, specialists, and consultants working in various fields. Focuses on implementation of methodology and application of robust correlation with R.
Introduces the main approaches in robust statistics, such as Huber’s minimax approach and Hampel’s approach based on influence functions. Explores various robust estimates of the correlation coefficient including the minimax variance and bias estimates as well as the most B- and V-robust estimates. Contains applications of robust correlation methods to exploratory data analysis, multivariate statistics, statistics of time series, and to real-life data. Features exercises and examples throughout the text using both small and large data sets. Theoretical and applied statisticians, specialists in multivariate statistics, robust statistics, robust time series analysis, data analysis and signal processing will benefit from this book. Practitioners who use correlation based methods in their work as well as postgraduate students in statistics will also find this book useful.